Welcome. Brainwave Optimization uses leading-edge computer technology to help your brain reach its full potential. As the brain plays a dominant role in generating and regulating many functions--mental, physical, emotional and spiritual--the benefits of optimizing the brain are significant and wide ranging. This leading system for brain optimization has helped many people better their lives by improving everything from mental clarity and sports performance, to enhancing emotional well-being and ability to meditate. Optimization has also helped many people significantly reduce a wide range of conditions relating to anxiety, traumatic brain injury, depression, stress, addiction, and many other challenges. 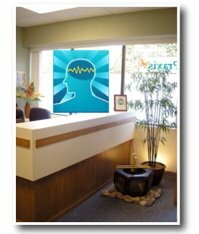 Brainwave Optimization, also known as brain training, balances and harmonizes brain function using state-of-the-art computer technology, EEG equipment and a zero gravity chair. The process begins with taking brainwave readings from different parts of your brain. The resulting brain map indicates which parts of your brain are overactive and which parts of your brain are underactive. The brain training process is then customized to suit your unique brain and your distinct brain ratios. Brain training in this manner is individualized, precise, and is not a 'one size fits all' approach. In real time, the computer translates the brainwave frequencies into sounds which are played back to your brain via headphones. This allows your brain to hear how it is functioning on an unconscious level. As your brain receives this reflection of its unconscious brainwave processes, it begins to correct itself toward greater balance and harmony. As the brain moves to correct itself, the sounds also change...and so the brain continues to observe itself changing--moment by moment--in real time. The training is done in the format of a Brain Training Intensive--which involves receiving 10 sessions, typically over the course of one week. This intensive format helps your brain to create new neural networks which support healthy, balanced brain activity. The optimization process is typically comfortable, relaxing and easy. Most importantly, people are amazed by the results. 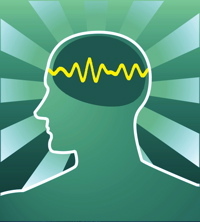 Find out more about the benefits of Brainwave Optimization.